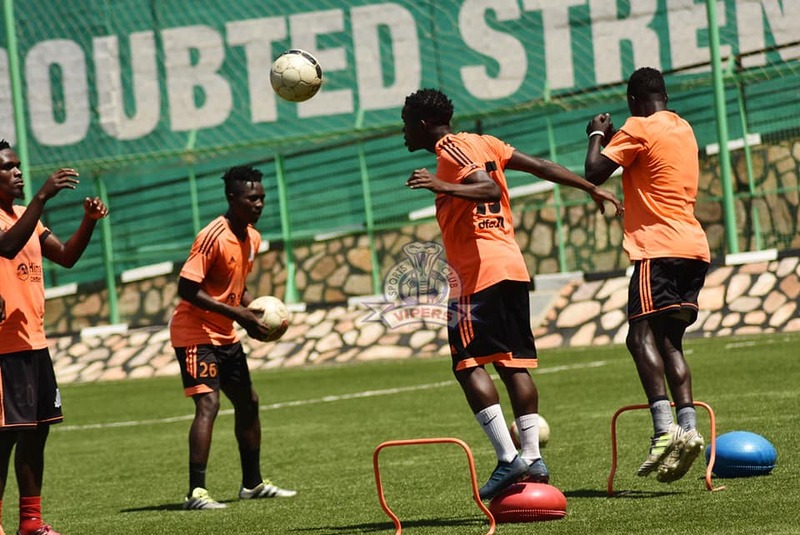 NJERU – Vipers SC will be hoping to return to winning ways when they travel east and take on Bul FC in the StarTimes Uganda Premier League on Wednesday afternoon. The Venoms are on the back of a 2-1 loss to SC Constantine of Algeria in the CAF Champions League but will be confident as they are still unbeaten in the League so far. At the start of the day, they sit six points behind leaders KCCA FC with Javier Martinez’s side having three games in hand. A win for the Venoms on Wednesday will most definitely serve as a morale booster ahead of their return leg clash in the Champions League. However, it will not be a walk in the park as they have won only one of their last three visits to Bul. For the home side, they come into the game on the back of a 2-2 draw away to Kirinya JSS in the Jinja derby. Peter Onen’s side have been performing fairly well so far, having lost only three of their first 11 and none in the last three. Having lost only one of their first six home games, they will be confident they can get something out of the game. “It is a game we are going to approach with a lot of caution. “Whenever we draw away from home, we come back and win in Njeru. “It is a run that we want to maintain. “We are going to work extra hard so as we overcome our opponents and continue the march up the table. “Bul is a strong team and we are not taking them lightly. “Each game is a final for us and we will go out to fight for victory in Njeru. Third choice goalie, Derrick Ochan is expected to start his first league game for Vipers with Bashir Ssekagya and Fabian Mutombore out injured. Ssekagya limped over during Vipers 2-1 loss away to CS Constantine in the Champions League while Mutombora has been out of action for over a month. Steven Mukwala is ruled out while Thomson Sefu and Bashir Asiku could be selected in the match day squad. Tadeo Lwanga and Geoffrey Wasswa will return to the starting line-up after missing the trip to Algeria due to suspension. This will be the 15th top flight meeting between the two sides ever since Bul gained promotion in 2011. In the first 14, Vipers have won 7 and lost only 2 with the other 5 ending in draws. Bul have won only one of the 7 home fixtures against Vipers with the victory coming four years ago in a 2-1 result. Last season, Vipers took 4 points off Bul including one in the 0-0 draw in the reverse fixture. Bul head into the game having lost only one of their last 9 league games (W4 D4). The loss came in their meeting away to Mbarara on the 13th of last month (1-0). At home, Onen’s side have lost only two of their last 14 fixtures (W8 D4). For Vipers, they are currently on a 26 match unbeaten run in the league (W20 D6). The last team to topple the Venoms was URA on 28th of November 2017. Away from home, they have gone 12 matches minus defeat (W6 D6). Their last loss was the 3-1 defeat to KCCA in November 2017.